U.K. Prime Minister David Cameron stepped up his campaign for Britain to remain in the European Union on Thursday, outlining what he sees as the benefits of membership. Being part of the EU means "more jobs, more investment, lower prices, greater economic security and hard-working families better off," Cameron said during a visit to a car factory. The U.K. will hold a referendum on EU membership on June 23. 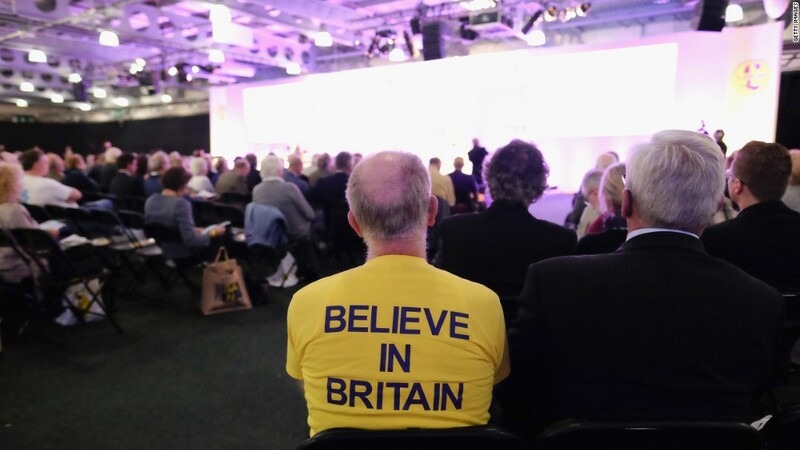 Cameron and other senior members of the government are campaigning for Britain to stay in the EU. They say the economic benefits outweigh the negatives. But some other prominent politicians, including London mayor Boris Johnson, want a "Brexit" from the EU. Opinion polls show voters in Europe's second biggest economy are divided over the issue, and many are undecided. Being in the EU makes Britain automatically part of the bloc's single market -- a free-trade area the U.K. had a big hand in creating. "The first big advantage of the single market is that British businesses can sell to a continent of customers -- 500 million people -- tariff-free," Cameron said. Leaving the union may mean businesses would have to start paying tariffs, and they could face other non-tariff barriers, which would make them less competitive in Europe. The prime minister also argued that being part of the bloc makes Britain stronger on the world stage. "The Single Market enables the EU to strike the most ambitious and comprehensive trade deals with the world," Cameron said. He said that being part of the club also means the U.K. has a say when important decisions are made within the union. Cameron said three million British jobs depend on Britain's trade with the EU. Leaving the bloc could mean some of these jobs would be gone. The head of the Bank of England said this week that some banks would move out of the U.K. in the event of Brexit. "For those who advocate leaving, lost jobs and a dented economy might be collateral damage, or a price worth paying. For me, they're not," Cameron said. Brexit: A leap in the dark? Cameron has also warned about the risks related to Brexit. Those campaigning for Britain to leave the EU say that the country would negotiate new trade agreements with the EU. The prime minister said that would be difficult and costly, and added that Britain would be in a weaker position to negotiate favorable terms. He also pointed out that non-member countries with such agreements, for example Norway, have to follow EU regulations and pay into the EU, and still put up with tariffs on some goods. Leaving the EU would mean exchanging "certainty of success for the uncertainty and risk."